I just thought I'd share this tip as I find it very useful. I'm abusing the TODO system to cause my code to be highlighted in different ways. Specifically the above looks for spaces or tabs followed by a single ! 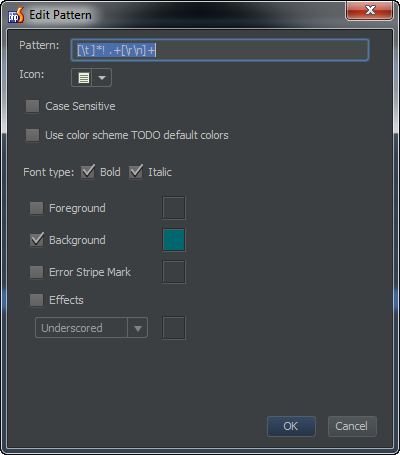 and selects through the end of the line, then I just have it over-ride the default todo colors.